Fallout 76 got a ton of preview coverage yesterday, with both gaming sites and YouTube/Twitch content creators dishing out their thoughts on Bethesda's upcoming release. It's safe to say that some enjoyed their time with the game more than others, but one talking point that continues to pop up is how Fallout 76 deals with murderous players. 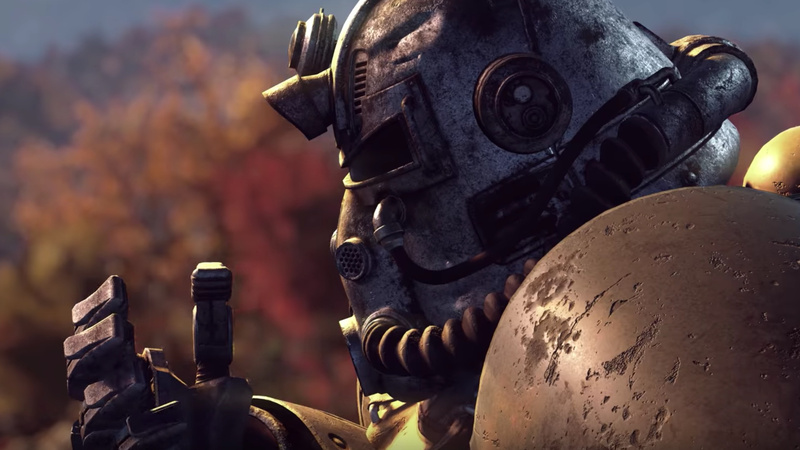 As many of you will no doubt already know, Fallout 76 is an always online game. There will always be other players populating the map, and yes, you can kill each other. Once you hit level five, you're able to attack your fellow vault dwellers, initiating player versus player combat. There are currently two ways that this scenario can play out. If you're attacked by another player, you can either fight back and start something serious, or you can ignore it. Fighting back makes the encounter 'official', and both players are scaled to a similar level to even the playing field. However, more powerful equipment will skew things a bit. If you don't fight back, your aggressor can keep hitting you until you die, although they'll deal a lot less damage. In theory, this is supposed to stop players from constantly killing each other, but obviously, the concern is that some players just won't care, and they'll attack regardless. That said, there is a penalty for murdering too many players who don't fight back. Go on a spree and you'll apparently be hit with a significant debuff, reducing the damage that you do to everything -- player and mutant alike -- and it applies for two hours in real time. What's more, you'll lose all of your in-game money. It's a big penalty, then, but again, there's a worry that some players just won't give a damn. If they're out to cause chaos, then they're going to cause chaos. Another potential issue that's been brought up is that players can apparently spawn very close to one another after being killed. So, for example, if you initiate combat with another player and you're shot dead, you can potentially respawn right next to them. It's unclear whether this is just how the preview build was set up, but it's already got people talking. The final hot topic is the game's performance. It's no secret that the preview build all of these impressions are based on did not run well, constantly dropping frames. Bethesda has said that this is already being fixed, but come on, this is Bethesda we're talking about -- there's a reason to be cynical. Needless to say, an uneven frame rate is a big deal when it comes to player versus player combat -- things have got to be smooth when you're fighting for your life. So what do you make of all this? Does the penalty sound like it'll be enough to dissuade players from being d*cks to each other? 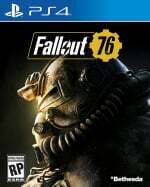 What are your thoughts on Fallout 76 in general? Avoid rads in the comments section below. This game is sounding worse and worse with every preview. I was one who always thought fallout would be amazing in co op, but..... im having doubts of even trying the game at this point. Now, I'm not a big city video game developer, but I feel like if they want to stop people from murdering each other in cold blood, they should probably change "If you don't fight back, your aggressor can keep hitting you until you die, although they'll deal a lot less damage" to "If you don't fight back, your aggressor will deal no damage and you can go on living your life." Their solution looks hot garbage tbh. Sorry not for me so i have to run away for griefers and spawn next to them hen i die yeah sounds like fun. Just to have the group of griefers destroy your home with a nuke. Those penalties are as bad as Riyad Mahrez's. @johncalmc Yep, was just going to say the same thing. It's such an easy, EASY, change to make. This game is clearly nothing more than an attempt to ride the Battle Royale wave. That's the player they're trying to appeal to with this game. I'm finished with Fallout for now anyway, and I was wearing thin with Elder Scrolls before they announced that a new solo(?) game is on the way, but it's always interesting to hear the spin Bethesda put on everything. What about if you oneshot someone? Say with explosives? Do they automatically count as not fighting back? I also wonder about people fighting as teams with people not officially in the fight blocking characters and line of sight. Yay the fun of online games ... if Bethie wanted to avoid this kind of nonsense they should have just made a single-player game with co-op. I'd rather just replay Fallout 3 (my favourite) than even consider playing this to be honest. I think their best approach is just to accept this behavior and quickly remodel the game as another Battle Royale thing. This game will be known for having the worst toxicity in players ever, the game will fail miserably after its first year. No one wanted this game no one asked for it at all it's a live service cash cow to keep money coming in because loot boxes and MTs are now getting banned overtime (hopefully). Every developer is making sure they have a game out there bringing in the cash even though they have Elder Scrolls online that game won't ever be a WoW title where it will be around for years to come and have the same fan base. Okay bethesda, how bout instead you make it so there are PVE only servers. So people can choose if they want to play the game with the risk of players being toxic and griefing. @ShogunRok I'm sure I've read that you can just turn PvP off. "The game disables PvP till you reach level 5, so there's plenty of time to get to grips with all this and make inroads on a few quests before you have to worry about other players, and even then, you're free to switch it off again in the settings"
@carlos82 Do you have a link to the article? I can't find mention of it on any other site/video I've watched. @carlos82 Wrote a story on it, thanks!